Monki wishes us all a Happy Valentine's Day! 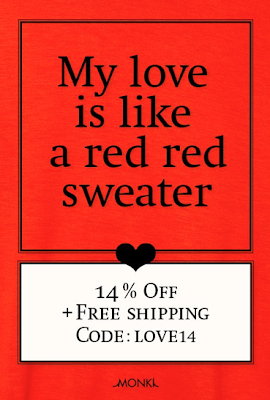 Use code 'LOVE14' at checkout to get 14% off your whole order and free shipping all day until midnight. One order each, so hurry up and get yours in!